Former Boxing Heavyweight Champion and star of the hit film "Rocky 5" Tommy "The Duke" Morrison passed away last night, 9/1/13. We had the pleasure of conducting what we believe to be the last audio interview with Mr. Morrison. 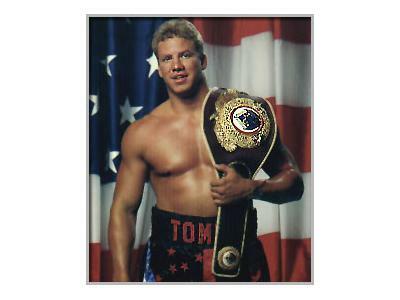 Tommy Morrison 1969-2013 Rest In Peace. On August 11, 2011,Tommy Morrison joined the Gang at Matty P's Radio Happy Hour in what still stands out as one of the most infamous interviews in show history. Hear Tommy discuss going from 8th grade drop out to Toughman Contest fighter to Professional boxer. Listen to the inside stories from the set of Rocky V, including how Tommy broke a stuntman's orbital bone by accident and learn just how much Tommy got paid for his role as Tommy "The Machine" Gunn. Tommy talks about his boxing career and his path to becoming World Champion. How close was the rumored fight with Mike Tyson? Tune in and find out. After a career retrospect, the conversation drifted to strange territories, with Tommy discussing how he believes telekinesis was responsible for the Egyptian Pyramids, his believe in the human ability to re-grow limbs and his claims that he had TELEPORTED himself! 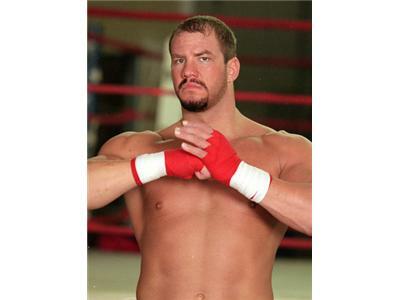 Despite being diagnosed as HIV positive, Tommy Morrison was adamant that he did not have the disease and that the disease DID NOT EXIST! He also made the claim that Magic Johnson was not HIV positive and claims that Magic was paid 60 million dollars by pharmaceutical companies to say he had the disease! The 73 minute interview gives a very fascinating look into the mind of one of the most controversial men in boxing history.